Rome may not have been built in one day, but if you have one or better yet, three, to spend in the city, there’s a whole lot that you can see, do and eat while you’re there. 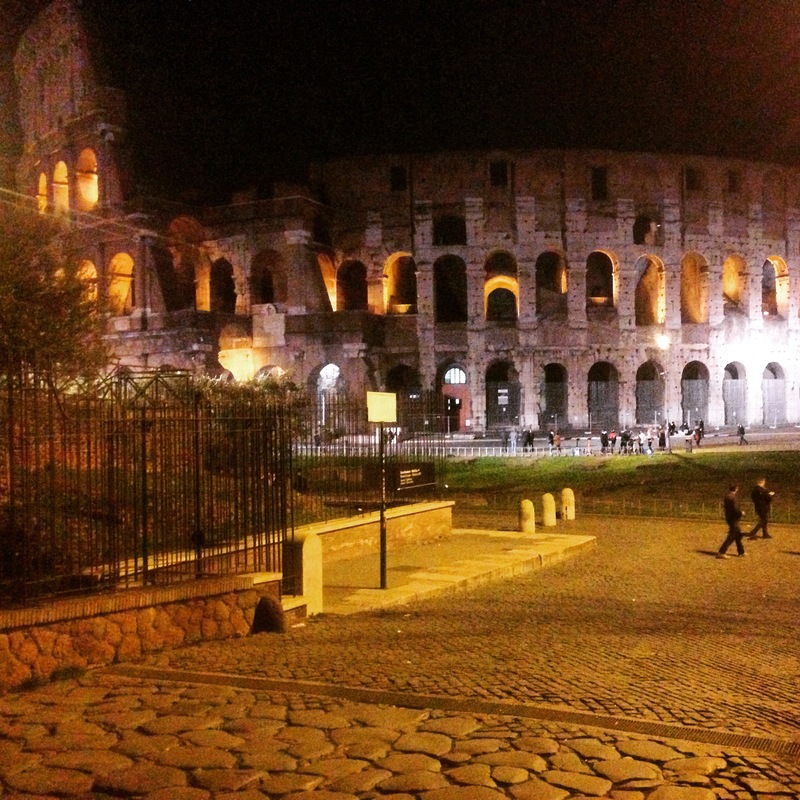 I visited Rome earlier this year and I am still in awe of the experience. I’ve always been really enchanted with many parts of Roman history, specifically ancient civilization, culture and architecture. With only 72 hours to spare, we packed a ton of sightseeing and cultural exploration into our visit and was able to have many of the documentaries on Rome that I’ve watched over the years come to life right before my eyes. 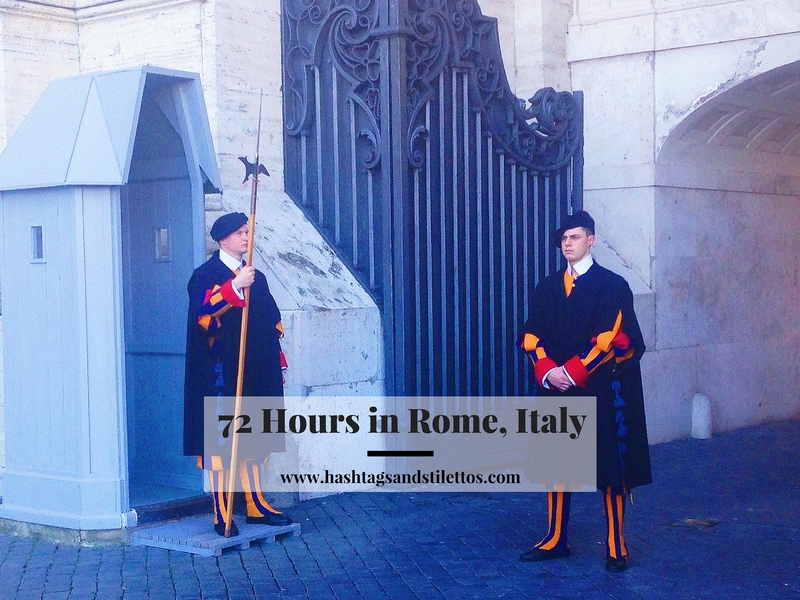 We stayed at the Holiday Inn Express Rome – San Giovanni. 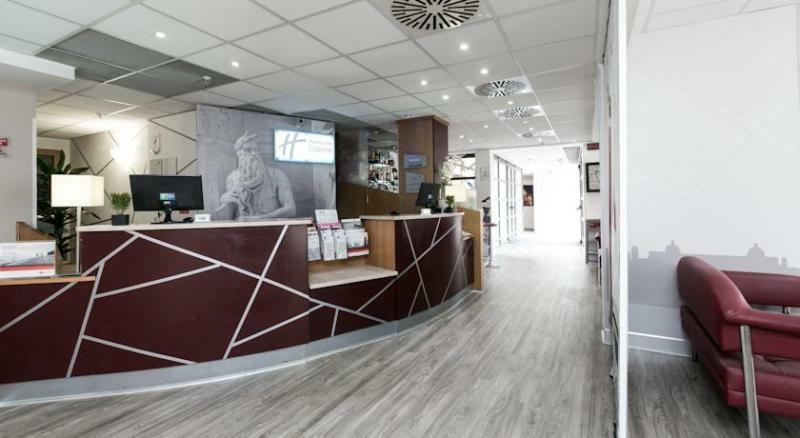 The 3-star Holiday Inn Express Rome is located in the South of the old town and is blocks away from a rail station, the city metro which is the equivalent to the subway in New York City and a bus line (tip: the 85 bus near this hotel will take you directly to the Colosseum). The hotel was very nicely maintained and had a lot of modern touches. However, the rooms, or at least the room my friend and I stayed in, are pretty small (but not completely uncomfortable). If I had a chance to re-do the trip, I would opt for separate rooms or inquire about an upgrade. Complimentary wi-fi is included, but the connection was frustratingly slow unless you used the computer located in the hotel’s business center. When we talked to the front desk attendant about the poor internet service we were given a code for a higher-speed connection but it never really improved. Aside from breakfast and the small bites available during the hotel’s happy hour, food options at and around this hotel are limited, so make plans to travel into town for lunch and dinner and make sure you bring snacks back to the room or order take-out or you might find yourself hungry. All in all this is a decent place to stay if you don’t mind being away from the hustle and bustle of the city. 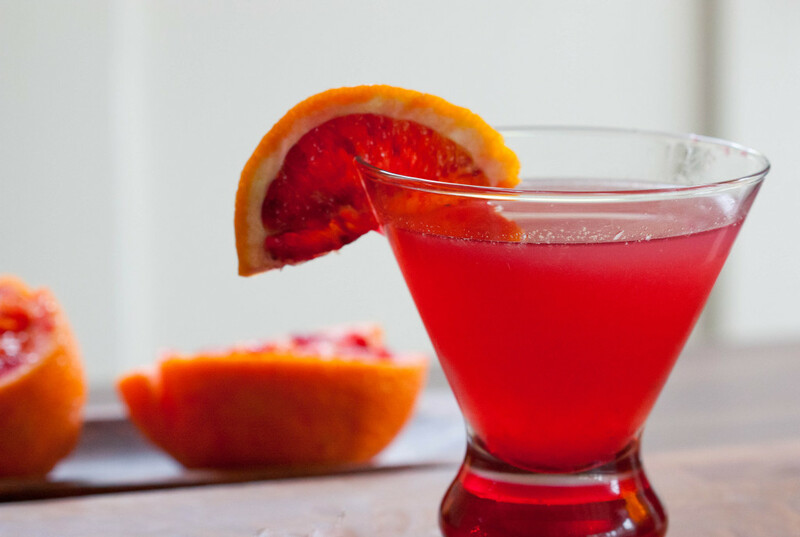 Blood orange juice is the breakfast drink of choice in Rome and other parts of Europe. While in Rome, we ate and drink like the Romans. Well, sort of. This was my first time in Europe, so breakfast was a bit of culture shock in that Europeans prefer to dine on lots of dessert-like pastries and sweet dishes instead of the smorgasbord of breakfast food options that we have here in the U.S. So if you’re craving something savory at your hotel, they’ll usually have it, but you may have to ask for it directly. One of the highlights of breakfast time in Rome was the discovery of blood orange juice. I learned that blood oranges are the most popular table orange in the region, therefore, the juice is a staple. Depending on where it’s served, it may be sweet or tart, but either way it’s really delicious and something I wish we had in America. We went to several trattorias during our stay and tried different kinds of Italian pizzas and pastas but it wasn’t until we ate at a restaurant outside of the Vatican that I found my signature dish: Cacio e Pepe. Cacio e Pepe is the Italian name for a handmade pasta dish with Pecorino Romano cheese and pepper. Super simple and super delicious. Once I tried that, it’s the only thing I ordered until we left. As we mapped out our day, we decided to start with the Vatican and St. Peter’s Basilica since it was the furthest thing from our hotel. We figured we’d start there and work our way backwards through the other historic sites. Our primary mode of transportation was Rome’s subway system. 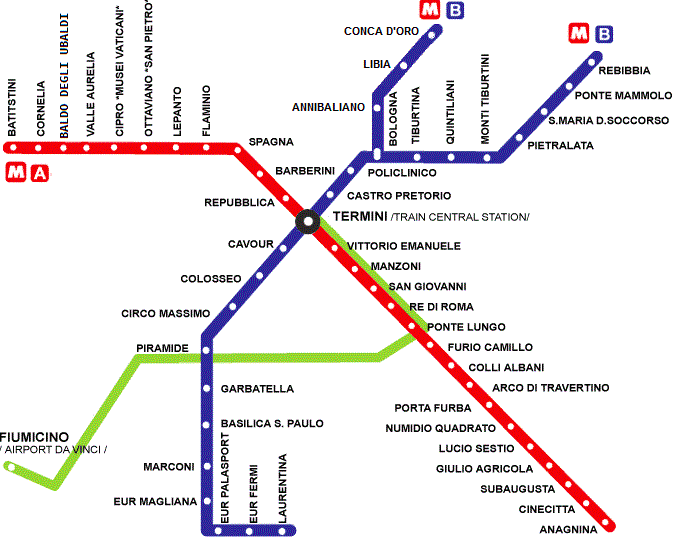 If you’ve ever used New York’s subway or the color-coded metro lines in Washington, DC, you’ll find Rome’s system pretty easy to navigate. A pro tip for using the subway is to try and buy your tickets in bulk or look for an unlimited pass that lasts for 24 hours instead of buying individual tickets each time you need to take the train. One of the surprising things about Rome and its subway system was the sheer amounts of graffiti you’ll find throughout the city. Imagine New York in the 80s and multiply that by about a thousand. 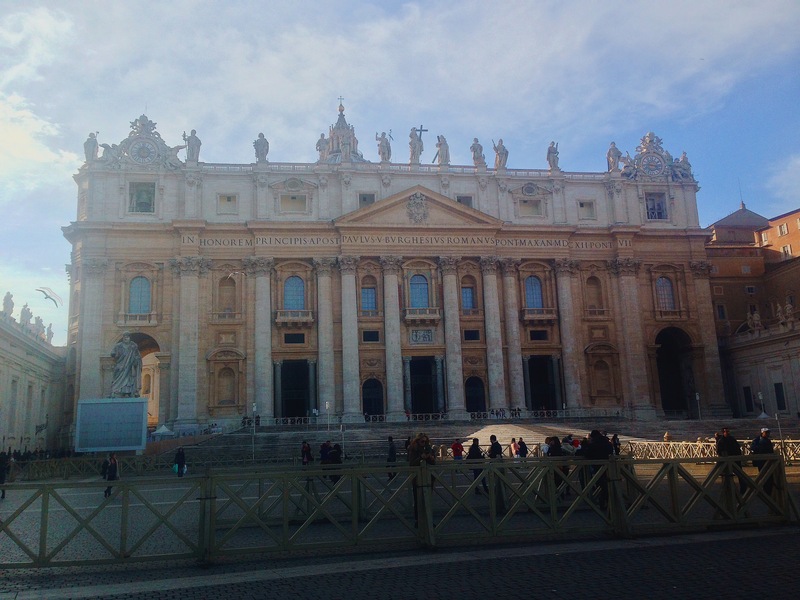 When you get to Vatican City, which I learned is its’ own country, you’ll want to sign-up for a guided tour that will take you through the Vatican Museum (there are more than 1,000 rooms in the museum), the Sistine Chapel and then through to St. Peter’s Church. Paying for the guided tour is your best bet in terms of convenience (you won’t have to wait in line for hours to get tickets) and access (you’ll be taken through to the Sistine Chapel through a secret entrance in the museum). The Vatican tour is very informative. It’s hard for me to pick a favorite moment on the tour. I would have loved to spend more time in the museum, Michaelangelo’s ceiling fresco in the Sistine Chapel was breathtaking and seeing St. Peter’s Church and where the Pope lives was really interesting. After we left the Vatican, we took a train over to the Pantheon (pictured above). 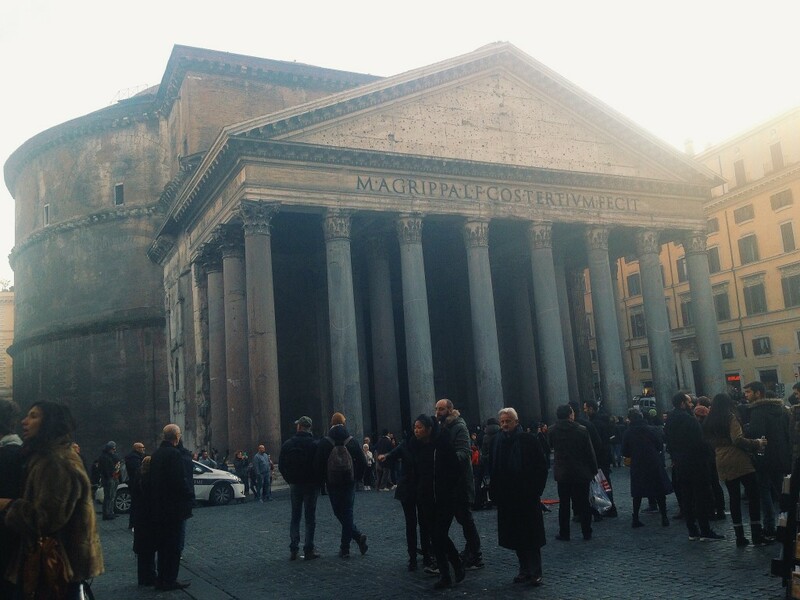 The Pantheon was finished and dedicated in the year 126 A.D. and is the most well-preserved ancient structure in Rome. It has been in continuous use since the 7th Century and is used today as a worship temple. From there we walked over to the Trevi Fountain, which was unfortunately undergoing restoration so we didn’t really get to see it in all of its splendor. 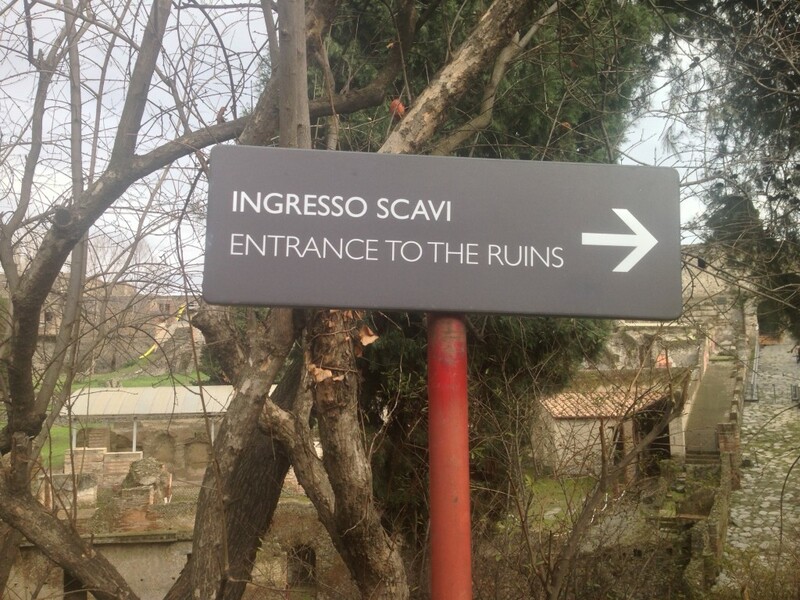 The restoration process may take a few years so if you’re headed to Rome anytime soon, you may want to skip this one. Soon, we started to make our way back to our hotel for the evening and decided to stop by the Colosseum (pictured above). Unfortunately, we got there right after it closed for visitors so we weren’t able to go inside to see the way the columns were set up, but I was still happy to be there. Of all the ancient sites in Rome, this is the one that gets talked about the most so it was amazing to see it up close and personal. Right next to the Colosseum, are the Roman Forum ruins. 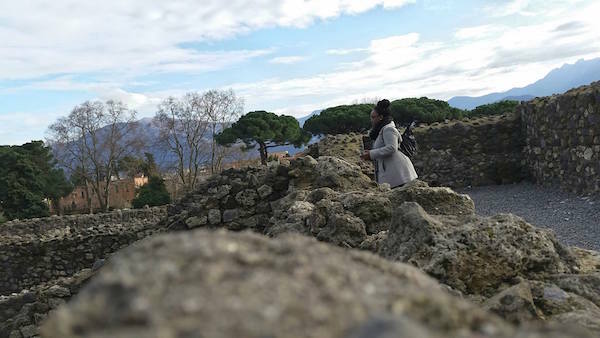 The next day we embarked on what would easily become the highlight of the trip: a day at the ancient ruins of Pompeii. 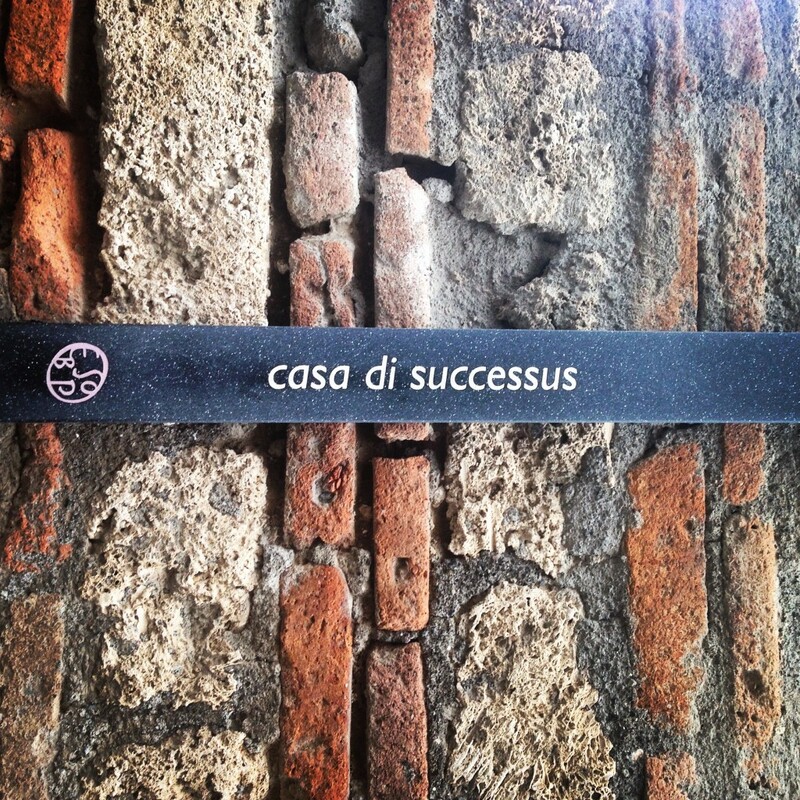 If you’re not familiar with the story of Pompeii, Mt. Vesuvius erupted in the year 79 A.D. and showered poisonous volcanic gases and ash down on the city instantly killing the people who weren’t able to evacuate in time. The entire city was abandoned and buried underground until it was discovered in the 1700s. 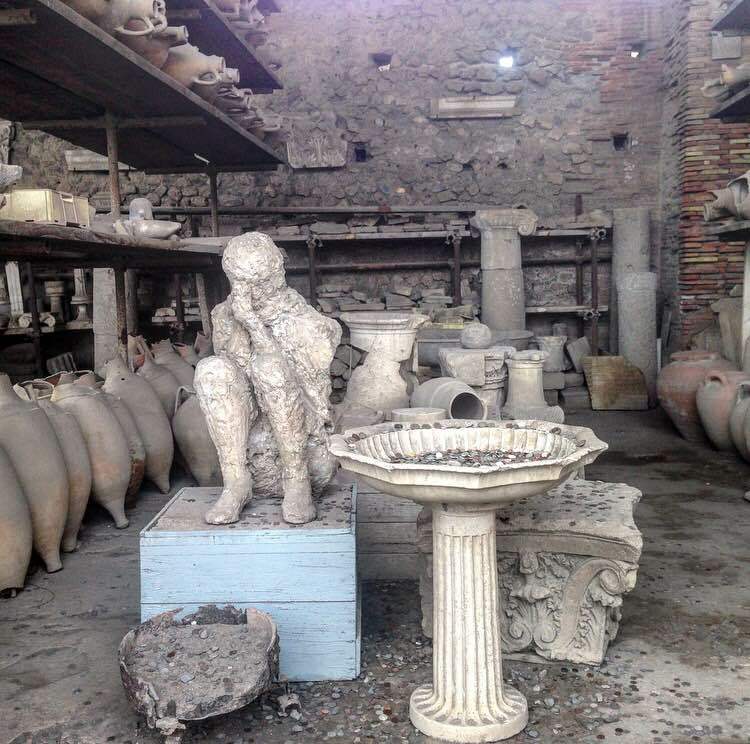 The remains of the Pompeiians were found remarkably intact and plaster was poured into the holes to capture the exact pose and position that the people died in. While much of the city has been excavated, there are still areas that need to be dug out. To get to Pompeii, we had to take a train (think: Amtrak) to Naples and then another train from Naples to Pompeii (tip: be aware of your surroundings and watch for pickpockets). The trip was about 2 hours each way, so if you’re headed out that way, make sure you have enough time set aside. Rome was a dream. There is so much to see, do and learn here. I can definitely feel a second trip in my future.